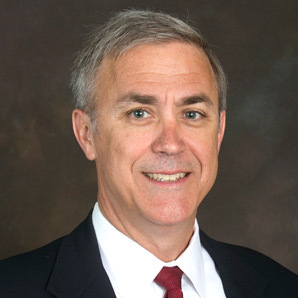 Dr. David Daleke was appointed vice provost for the graduate education and health sciences at Indiana University Bloomington in September of 2013. Dr. Daleke is an associate professor of biochemistry and molecular biology in the Medical Sciences Program at IU Bloomington, part of the Indiana University School of Medicine. He has served since 2005 as associate dean of the University Graduate School and, since 2013, as vice provost for graduate education and health sciences. Dr. Daleke oversees graduate education and health sciences initiatives for IU Bloomington. He chairs the graduate education committee and serves on the interdisciplinary health sciences committee for the current process of creating a Campus Strategic Plan. Daleke received his B.S. in Chemistry and Biology and Ph.D. in Biophysical Chemistry from Stanford University. His research is focused on the structure and function of biological membranes as regulated by lipid “flippases”, in normal and diabetic blood cells.